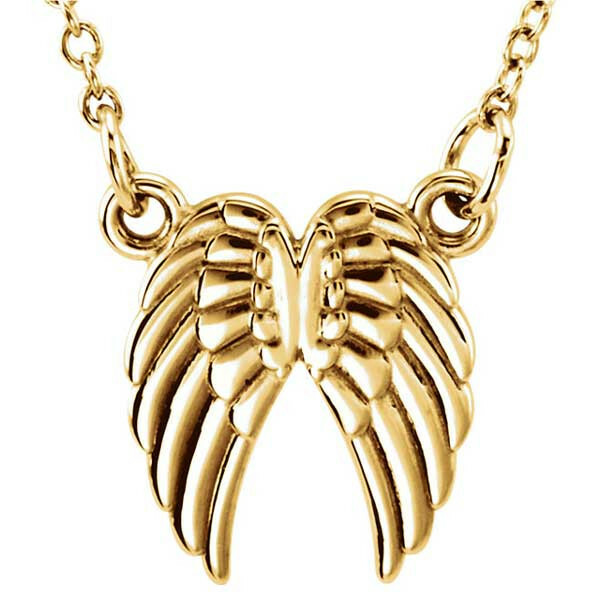 Pilots aren't the only ones who can earn their wings; you can, too, with this heavenly necklace! Crafted in 14kt yellow gold, a pair of angel wings hang from an 18" chain. The necklace is a beatific beauty and source of both protection and inspiration.